LA HABRA – Whittier Christian High School continued its thrilling postseason ride by delivering a 25-22, 21-25, 25-16, 25-15 opening-round victory Tuesday, Nov. 26 over La Costa Canyon in the CIF State Division II playoffs. The host Heralds (33-6), coming off their second consecutive CIF-SS Division 2A crown, stepped things up in the third and fourth games en route to the win. Up next for fourth-seeded Whittier Christian is a second-round match against top-seeded Santiago High of Corona, which is scheduled for 7 p.m. Saturday, Nov. 30. Santiago (38-0) won its Tuesday first-round match against Taft of Woodland Hills, 25-13, 25-18, 25-10. Senior outside hitter Deanna Blaine led the Heralds attack by recording 20 kills. Outside hitter Kylee Wolfe and middle blocker Stephanie Stevenson, both seniors, also played major roles by posting 15 and 10 kills, respectively. Brittany Abercrombie made 18 kills to pace No. 5 seeded La Costa Canyon, which finished its season at 25-10. Heralds head coach Shawn Hunter praised his team’s effort. “I definitely thought we needed to be aware of their opposite (hitters),” Hunter said. “We wanted to shift away from them as much as possible. We did a good job of controlling the contact. After splitting their first two games against the Mavericks, the Heralds seized control during the third and fourth sets. 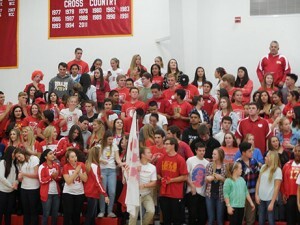 The Heralds, trailing 10-9 in the third game, recaptured the advantage by scoring five unanswered points. Three of those winners came on kills by Blaine. After Abercrombie’s kill reduced Whittier Christian’s lead to 16-13, the Heralds grabbed mometum and went on a 9-3 surge to capture the third game. Whittier Christian kept up the pressure on the Mavericks during the fourth game. The Heralds, leading 7-5, pulled away by going on a decisive 18-10 run. 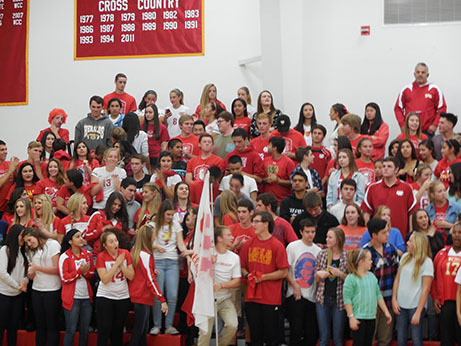 Stevenson’s kill provided the match-winning point for the Heralds. Heralds senior setter Jennifer Washle recorded 47 assists and 12 digs. Wolfe and senior libero Nicole Santos each added 14 and 10 digs, respectively. 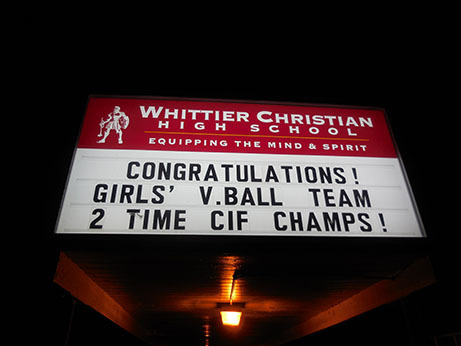 ORANGE – The Whittier Christian High School girls’ volleyball team successfully defended its CIF-Southern Section Division 2A crown on Saturday, Nov. 23 by sweeping Mayfield 25-19, 25-19, 25-19 at Santiago Canyon College in Orange. The Heralds (33-6), after capturing their second consecutive CIF-SS divisional title, will direct their focus on the CIF State Division II Tournament. Fourth-seeded Whittier Christian will host No. 5 seeded La Costa Canyon (25-9) in an opening-round match scheduled for 7 p.m. on Tuesday, Nov. 26, 2013. Heralds coach Shawn Hunter expressed happiness about his team’s achievements during the 2013 season. The senior trio of Kylee Wolfe, Deanna Blaine and Stephanie Stevenson starred in the Heralds’ triumph over Mayfield. Wolfe recorded a team-high 15 kills while Blaine and Stevenson added 13 and 12 kills respectively. La Costa Canyon finished as the runner-up in the CIF-San Diego Section’s Open Division. The winner of tonight’s game will face either Santiago or Taft in a second-round game scheduled for Saturday, Nov. 30. By The Rev. Thomas M. Boles PhD, D.D. word can have far-reaching effects. Fortunately, so can a careful word! The East Whittier YMCA, 15740 Starbuck St. in Whittier, offers a “Y Kids Klub” for children ages 6 to 13. 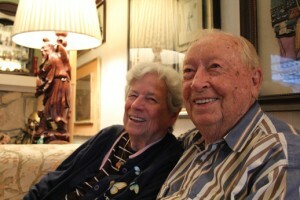 The program offers a variety of activities such as board games, sports and exercise. For more information, call 562-943-7241. Uptown Whittier YMCA, 12510 Hadley St. in Whittier, offers a youth adventure center for youngsters and family members ages 6 to 13. All children ages 6 to 9 must be checked in by an adult. Featured activities include table tennis, computer games and a 20-foot high rock-climbing wall. The hours are from 3:30 to 8:30 p.m. Monday, Wednesday and Friday; 3:30 to 9 p.m. Tuesday and Thursday, and from 10 a.m. to 2 p.m. Saturday. For more information, call 562-907-6530. Uptown Whittier YMCA, 12510 Hadley St. in Whittier, offers tae kwon do classes for ages 3 to adult. Instructors place strong emphasis on self-discipline and building self-esteem. They will teach how to use strength effectively, maintain cardiovascular fitness, improve flexibility and coordination, as well as tone the muscular system. For class times and more information, call 562-907-6530. East Whittier YMCA Impact Martial Arts program offers several classes at 15740 Starbuck St. in Whittier. Classes are available for all ages and levels of experience. Impact Martial Arts and Fitness is staffed by professional and experienced instructors who have dedicated their lives to sharing the power of martial arts with the community. For class times and more information, call 562-943-7241. Chair fitness encourages health and fitness for active people or those whose physical condition, restricted mobility, or age limits their participation in conventional forms of exercise. The free ongoing class, open to ages 55 and over, requires no registration. Sessions are scheduled from 8:30 to 9:30 a.m. at Parnell Park Activity Center, 15390 Lambert Road, and from 9 to 9:45 a.m. at Whittier Senior Center, 13225 Walnut St. Both classes are slated for Mondays, Wednesdays and Fridays. No class is scheduled for Nov. 11, Nov. 29, Dec. 25 and Jan. 1, 2014. Monthly swim lesson sessions are available at both the Uptown Whittier YMCA, 12510 Hadley St., and the East Whittier YMCA, 15740 Starbuck St. Four-week sessions are available during afternoons and evenings Monday through Thursday, and on Saturday mornings. For a schedule and more information, call the Uptown Whittier YMCA at 562-907-6530 or the East Whittier YMCA at 562-943-7241. Ongoing tai chi classes are open to ages 55 and over. The Whittier Senior Center, 13225 Walnut St., offers a Tuesday, Thursday and Saturday session while Parnell Park Activity Center, 15390 Lambert Road, hosts a Friday class. The fee for each session is $3. WHITTIER – La Serna High School launched its postseason journey on a very impressive note on Friday, Nov. 15 as it posted a dominating 55-7 victory over Burbank’s Burroughs High School in the first round of the CIF-Southern Section Southeast Division. The Del Rio League champion Lancers, who hosted the game at California High, took control instantly by scoring 27 points in the first quarter. With the win, La Serna (9-2) advances to a second-round matchup at Dimaond Bar (7-4), which defeated defending CIF-SS Southeast Division champion Downey 63-29 in its first-round match. The kickoff for the Friday, Nov. 22 game is tentatively scheduled for 7:30 p.m.
Senior quarterback Frankie Palmer gave the Lancers a quick 7-0 lead when he scored on a 61-yard run that came on La Serna’s opening possession. After senior defensive lineman Aaron Gomez recovered a Burroughs fumble at the Indians’ 6-yard line, the Lancers went right back to work and grabbed a 14-0 advantage on junior running back Bryce Oliver’s 1-yard touchdown run. La Serna kept up its dominating surge and went on to take a 41-0 lead by scoring on its first six possessions. Palmer then put La Serna ahead 21-0 when he threw a 6-yard scoring pass to senior wide receiver D’Andre Sanchez. Junior running back Kevin Ramos followed with a 1-yard touchdown run, which closed the first-quarter scoring. After Palmer’s 31-yard touchdown pass to junior wide receiver Curtis Ashton, the Lancers defense delivered when senior defensive back Johnny Salazar intercepted a Burroughs pass and returned it 48 yards to the Indians’ 18-yard line. Palmer then made Burroughs pay by scoring on a 18-yard run on a first-down play, which ended the first-half scoring. Sophomore running back Anthony Garcia’s 32-yard run and junior running back Cameron James’ 6-yard run provided the second-half scoring for the Lancers. Palmer completed eight of 13 attempts for 125 yards and two scores, and also rushed for 92 yards and two touchdowns on only three carries. Santa Fe (7-4), the Del Rio League’s third-place team, pulled off a big upset by stunning Hacienda League champion Diamond Ranch (9-2) on Friday, Nov. 15. The victorious Chiefs will face Burbank in a second-round game scheduled for 7:30 p.m. on Friday, Nov. 22 at Downey High. Burbank (9-2), the Pacific League’s second-place team, is coming off a 49-14 first-round win over Mayfair. Chiefs junior quarterback Christian Lara accounted for four touchdowns, completing 22 of 30 attempts for 264 yards and three touchdowns and also running for 62 yards and a score. El Rancho’s 2013 football season ended with a first-round defeat at Dominguez (8-3) on Friday, Nov. 15. The Dons, who took second place in the Del Rio League, finished with an overall record of 6-5. Be neither deceived nor discouraged by last Tuesday’s “hearing” held by the L.A. County Board of Supervisors on the Matrix Whittier Main Oil Project. Their vote against the project has potentially no direct impact on the future of the project. The matter is now in the hands of the courts and will, hopefully, be concluded in the not-too-distant future. The supervisors held this meeting in an attempt to demonstrate to the public that the county has a strategic say in the project approval process. The hearing was not requested by the city of Whittier. The hastiness of the project hearing was also apparent as notice was sent only about 18 days prior to the hearing date of Oct. 29. The hearing was stacked with opponents of the project ready to be recorded on camera. In fact, a week prior to the hearing, County Open Space District employees were directed to round up people to attend and speak (I have a copy of the e-mail). It is unfortunate that more time was not given to notice this hearing, as more of us who support the project could have attended. The meeting was both a political event and an event staged as an impartial vote on the project. Many at the hearing complained dramatically that the city of Whittier was ignoring the county consent approval process critical to Prop A. County staff presented a report, based on an outside consultant’s analysis, that condemned the project. It also contained numerous factual errors, including the allegation that 60 oil wells could be drilled throughout the 1,280 acres of city land. In fact, Matrix Oil is restricted to one drilling and production location on only seven of those acres, which is located in a canyon that is off-limits to the public. In addition, the county’s “findings” were written and published well before the hearing, and approved unanimously by the supervisors without any modification. So much for an open and honest process! The county’s authority in this matter has already been decided by the California Superior Court. The judge ruled earlier this year that the county’s claims under Proposition A and the public trust doctrine were filed well beyond the statutory deadline. Consequently, the county is also prohibited from challenging the authenticity of the Matrix Oil lease or Whittier’s Conditional Use Permit. 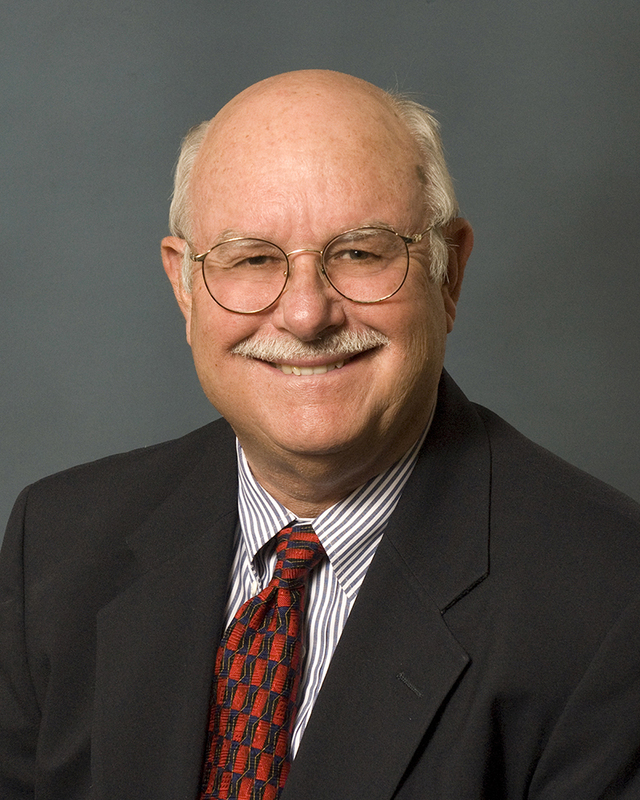 His honor further ruled that Whittier’s obligation to obtain county approval of the project expires in June of 2015. Subject to further appeals or a negotiation, the project will proceed no later than that. • Our city sought and obtained written approval to proceed with the oil and gas leasing process, and of the proposed lease, from the L.A. County Open Space District and County Counsel in August 2008. This was three months before bids were received and Whittier awarded the lease to Matrix Oil. • All previous opponents in court have either dropped out, been ruled against or settled their lawsuits with our city, thus allowing the oil project to move forward. This includes the Open Space Legal Defense Fund, the Mountain Recreation Conservation Authority, and the State Attorney General representing the Santa Monica Mountains Conservancy. • The project is allowable and compatible with Prop A as stated in written reports submitted to the city during the CUP and CEQA review process by Prop A founders/authors Ms. Esther Feldman (CCS) and Mr. Carlyle Hall (Akin Gump). 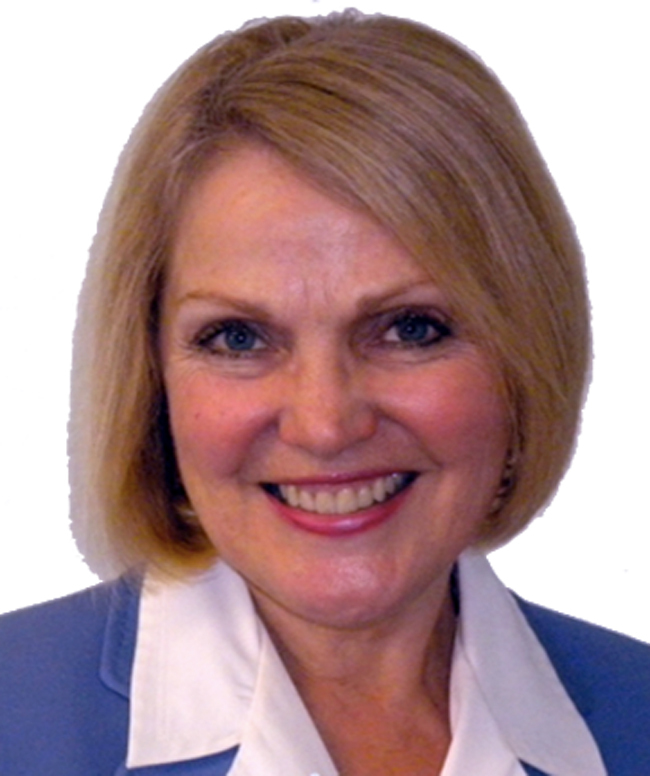 Opponents are misinformed and wrong in stating that the project is not allowed under Prop A. As the significant majority of us have affirmed in the two most recent City Council elections, Whittier wants and needs the oil project. It will stimulate local business activity and provide funding for our city and for the Habitat Preserve in our hills. Matrix Oil and its partners are determined to pursue the project and are optimistic about a favorable outcome. J.C. “Mac” McFarland is a lifelong Whittier resident who has served as director for PIH Health and is a 36-year member of the Whittier Host Lions Club. He has built a career as a CPA in the oil and gas industry and has represented Matrix Oil Corp. for the past eight years. Uptown Whittier YMCA, 12510 Hadley St. in Whittier, offers a Sunday afternoon 5-on-5 men’s basketball league. The league is scheduled to start on Sunday, Nov. 17, 2013. The free ongoing class, open to ages 55 and over, requires no registration. Sessions are scheduled from 8:30 to 9:30 a.m. at Parnell Park Activity Center, 15390 Lambert Road, and from 9 to 9:45 a.m. at Whittier Senior Center, 13225 Walnut St. Both classes are slated for Mondays, Wednesdays and Fridays. No class is scheduled for Nov. 29, Dec. 25 and Jan. 1, 2014. 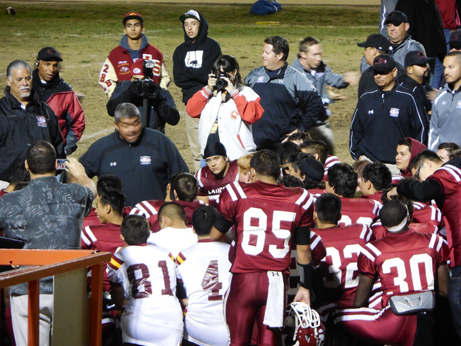 WHITTIER – La Serna High School, which captured its second consecutive Del Rio League crown by defeating El Rancho 43-8 on Thursday, Nov. 7, 2013, will open its postseason run Friday, Nov. 15 against Burbank’s Burroughs High in a CIF-Southern Section Southeast Division first-round game. The Lancers (8-2 overall, 5-0 league), who advanced to the divisional championship game the last two seasons, enter the playoffs as the No. 3 seed. Kickoff is scheduled for 7 p.m. at California High. In their victory over El Rancho (6-4, 4-1), the Lancers jumped out quickly to a 6-0 lead when sophomore running back Anthony Garcia scored on a 9-yard run during La Serna’s opening drive. La Serna then seized control by scoring 30 points in the second quarter. Junior running back Kevin Ramos extended the Lancers’ lead by delivering a 7-yard scoring run. Senior quarterback Frankie Palmer’s successful two-point conversion pass to Garcia put the Lancers ahead 14-0. The Lancers then scored touchdowns on their next two possessions, with the first coming on Garcia’s 7-yard run. After senior defensive back Tony Ceron intercepted El Rancho quarterback Ryan Araujo’s pass, the Lancers took possession at their 46-yard line. Two plays later, Ramos scored on a 54-yard scamper. Junior quarterback Enrique Pacheco’s successful two-point conversion run gave La Serna a 29-0 lead with four minutes remaining in the second quarter. Palmer’s 6-yard touchdown pass to senior wide receiver D’Andre Sanchez closed the first half’s scoring. Garcia finished with 85 yards and three touchdowns rushing – with the third coming on a 15-yard run which gave La Serna a 43-0 advantage. Ramos added 103 yards and two scores on seven carries. The Dons, who finished in second place in the league standings, will visit Dominguez (7-3) in a CIF-SS Southeast Division first-round game slated for 7:30 p.m. on Friday, Nov. 15. Dominguez took second place in the San Gabriel Valley League. Santa Fe (6-4, 3-2) secured a CIF-SS Southeast Division playoff berth and the league’s third-place spot with a victory over the Condors (4-6, 2-3) on Friday, Nov. 8. The Chiefs begin their postseason journey at Diamond Ranch (9-1), the champions of the Hacienda League. The game is scheduled for 7 p.m. on Friday, Nov. 15. California finished as the Del Rio’s fourth-place team. The Cardinals (4-6, 1-4) concluded their regular season on a high note. It marked the sixth consecutive defeat for the Titans (3-7, 0-5). A difficult season ended for the Swordsmen (1-9, 1-4), which emerged with a fifth-place league finish. Serra (10-0, 5-0), with the Nov. 8 triumph, captured the Mission League crown. The victorious Heralds (6-4), who finished Olympic League play last week with a 2-2 mark, wrapped up their 2013 season with a Nov. 8 victory over Cerritos (2-8). Heralds senior quarterback Ryan Esslinger accounted for five touchdowns, throwing for three and running for two. Esslinger, who completed 20 of 24 attempts for 273 yards, ran for 83 yards on nine carries. “I approached practices the same way I approached games. You can’t turn it on and off like a faucet. I couldn’t dog it during practice and then when I needed that extra push late in the game, expect it to be there. But that’s how a lot of people approach things. And that’s why a lot of people fail. “They sound like they’re committed to being the best they can be. They say all the right things, make all the proper appearances, but when it comes right down to it, they’re looking for reasons instead of answers. Winners are those who refuse to call it quits. The story is told of a little girl who was playing Tiddly Winks with her father. Her much more experienced father won the game, said “I won,” and went on to other activities. Unknown to him, his daughter continued to play. Awhile later she found him and announced, “I won!” “What do you mean?” he asked. “I got all my winks into the bowl.” she said proudly. Indeed, she had won! She had made a commitment to finishing her game. his oath even when it hurts.